The Ebola outbreak in the Democratic Republic of Congo has ended after three months, the country’s health minister says. The current outbreak claimed at least 49 lives in DR Congo. Felix Kabange said no new cases had been registered since October 4, though he warned against complacency. Congo’s outbreak is unrelated to the one in West Africa which has claimed more than 5,000 lives. Ebola was first detected in 1976 near the Ebola River in what is now the Democratic Republic of Congo. Saturday’s announcement came 42 days after the last new Ebola case in the country – Ebola outbreaks are usually declared over when two full cycles of the virus’ 21 day incubation period finish without further infections. The outbreak in the DR Congo, which began in August, had a high fatality rate at 74%. While the epidemic involved a separate strain of Ebola to the one devastating West Africa, Felix Kabange said that his country “remains threatened by the possible import of the Ebola virus disease” from the region. 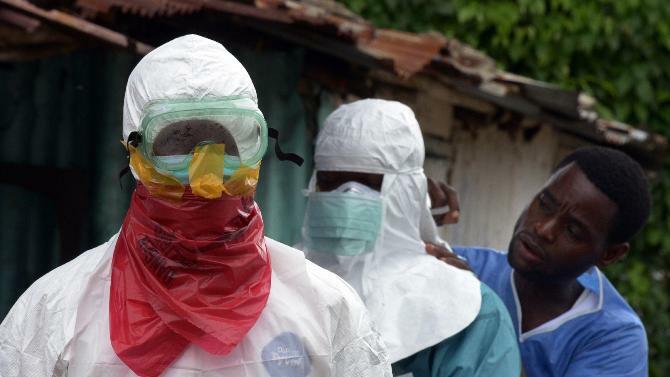 The Ebola outbreak in West Africa is the worst on record.